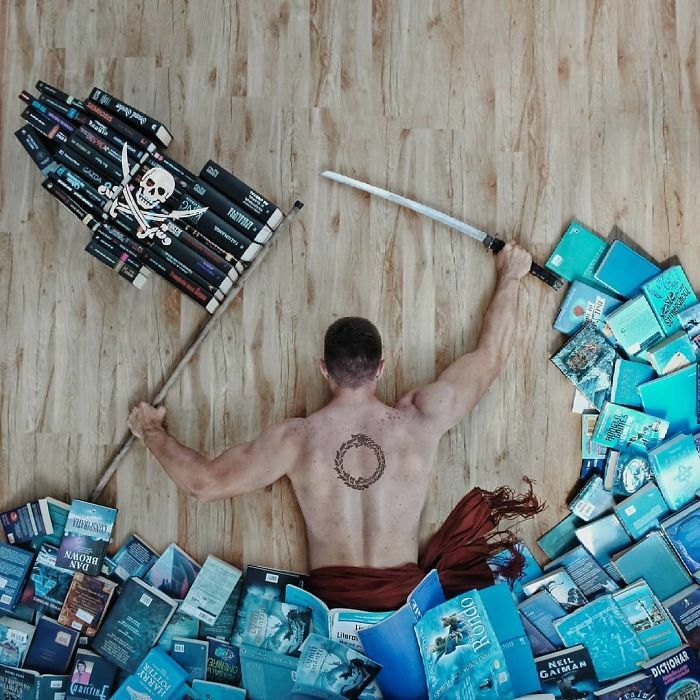 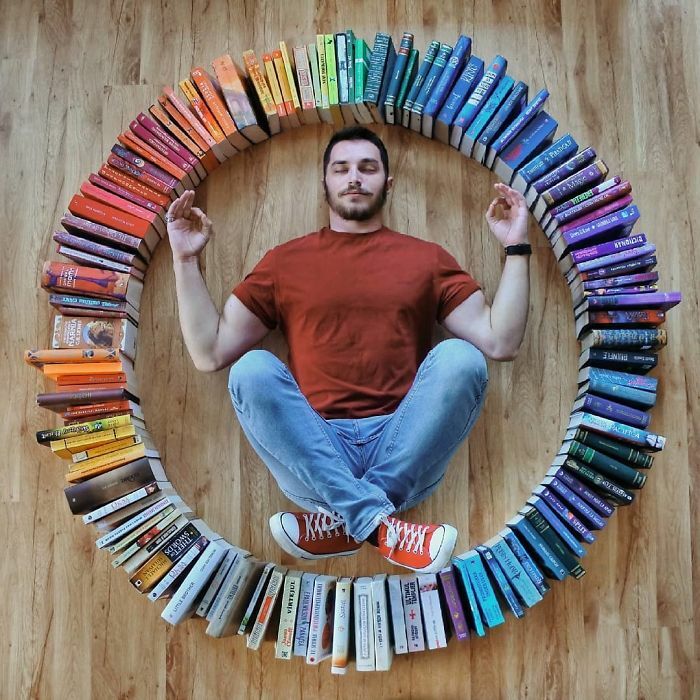 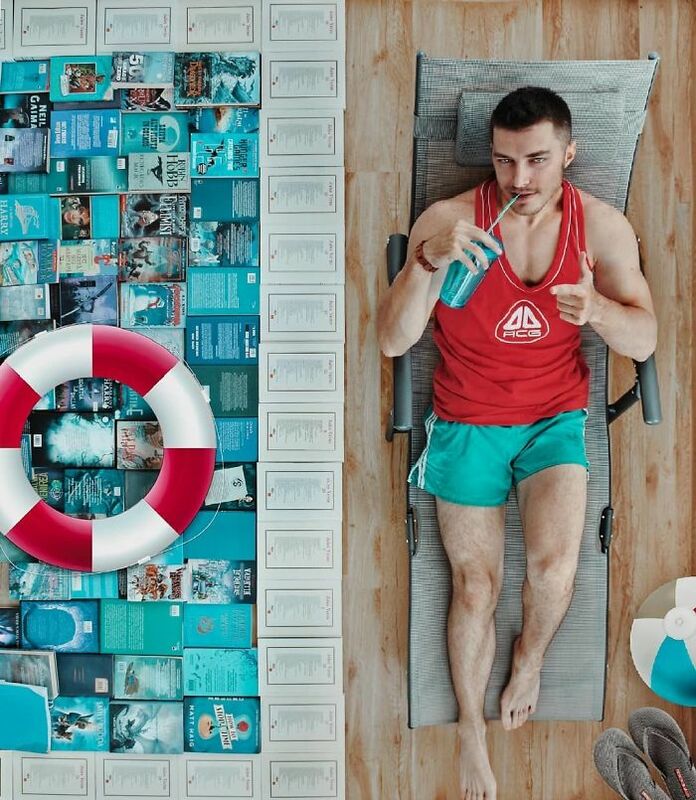 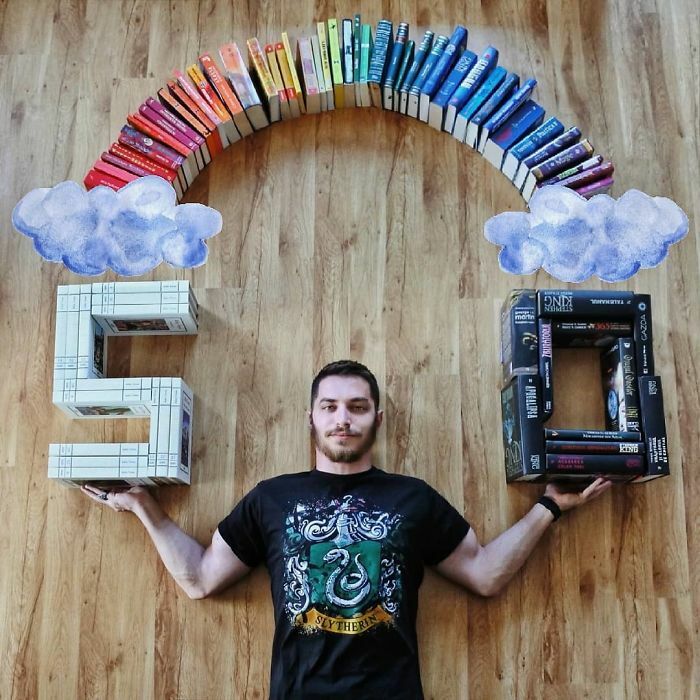 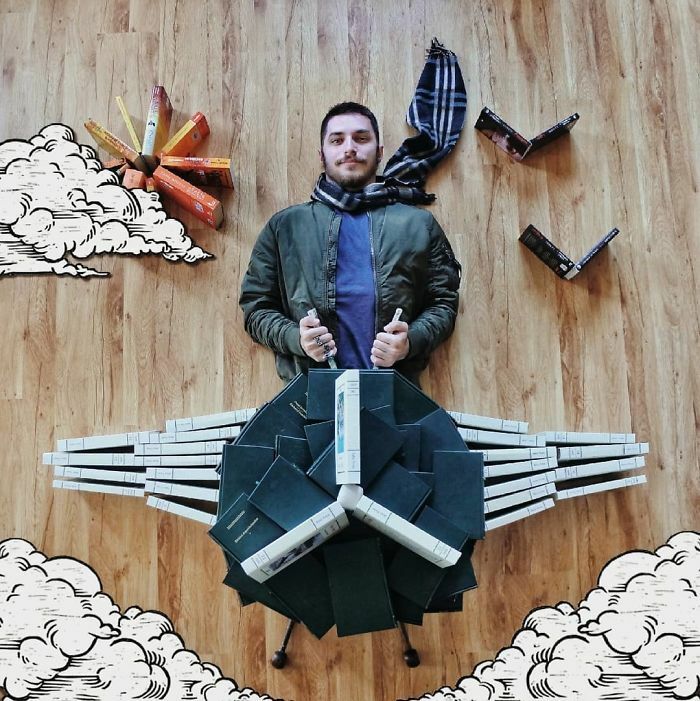 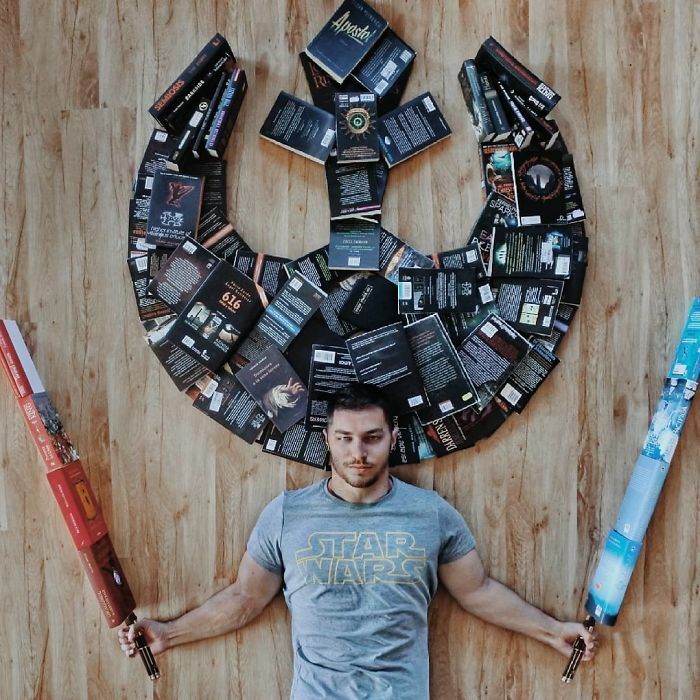 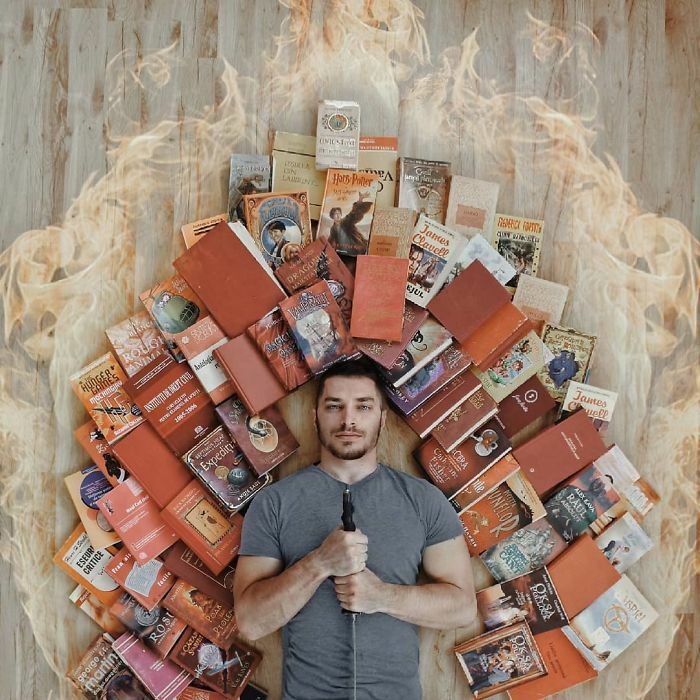 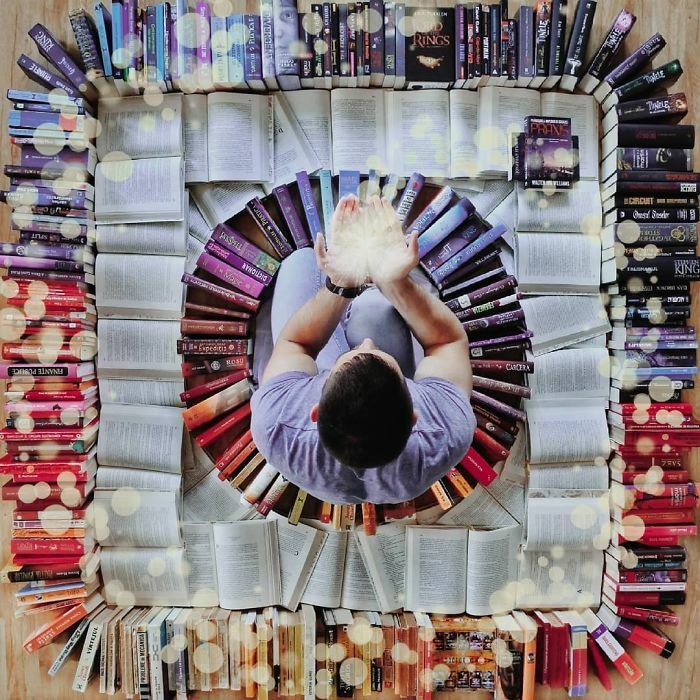 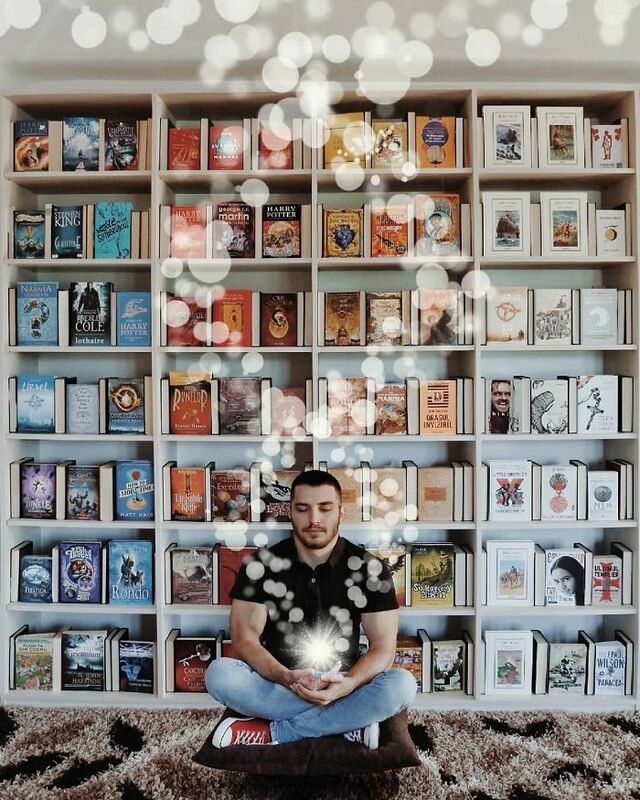 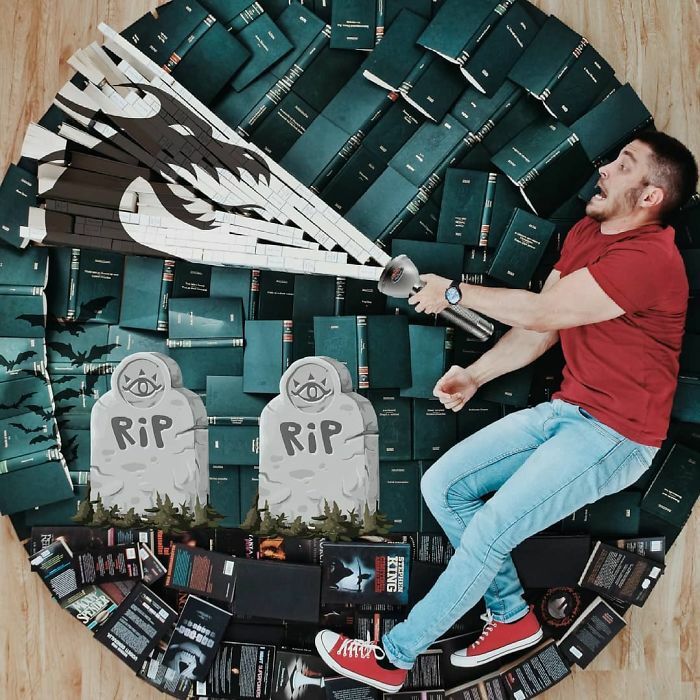 Book-Loving Guy Turns His Massive Library Into Art And His 120k Instagram Followers Approve – Because in this game of life the more you know the better player you will be. 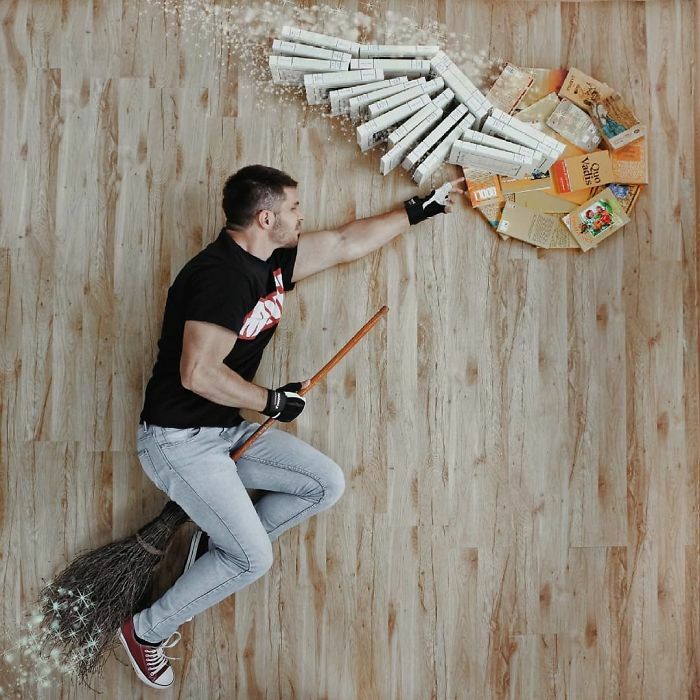 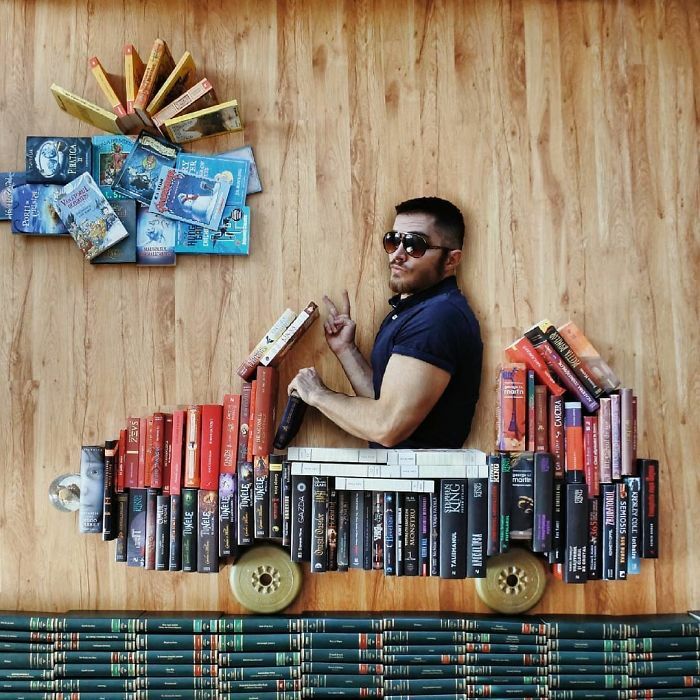 The best books can spark our imagination and in the case of James Trevino, even our creativity. 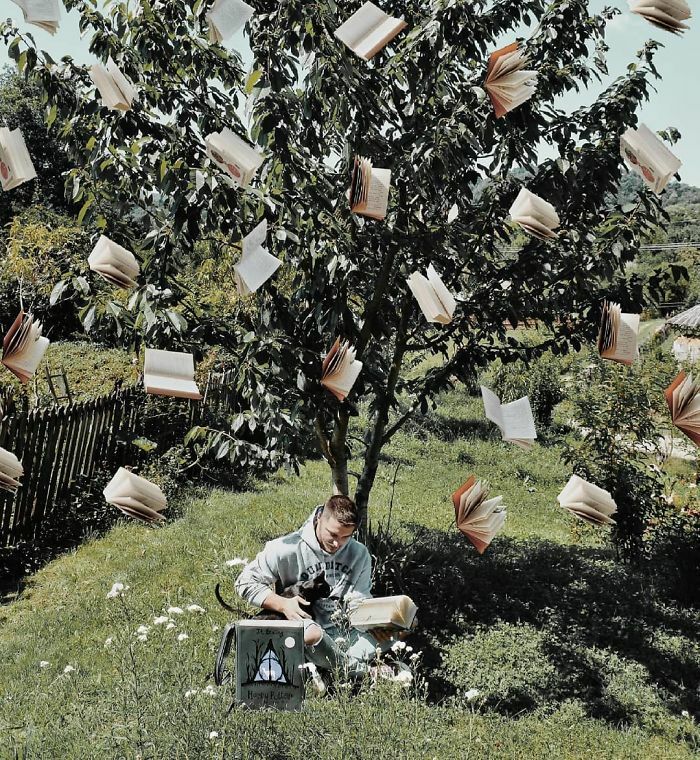 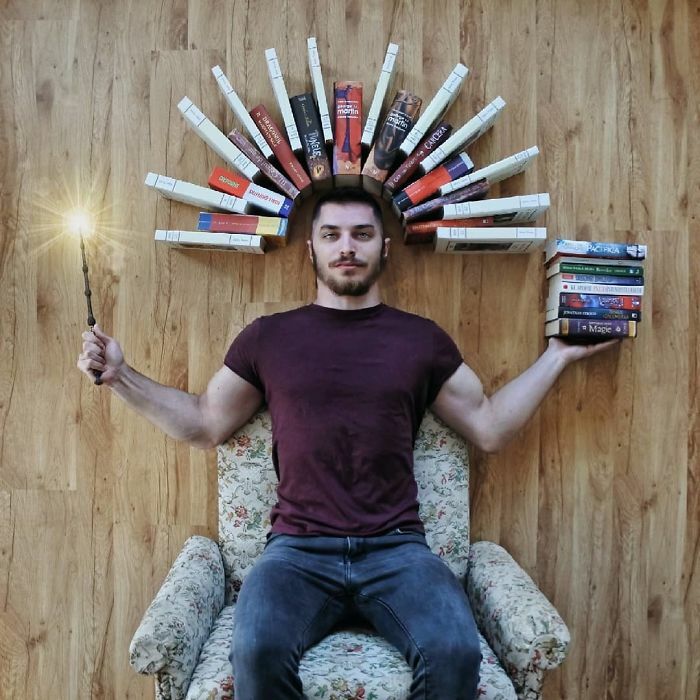 The 24-year-old has made a name for himself by arranging his book collection to depict elaborate literary scenes. 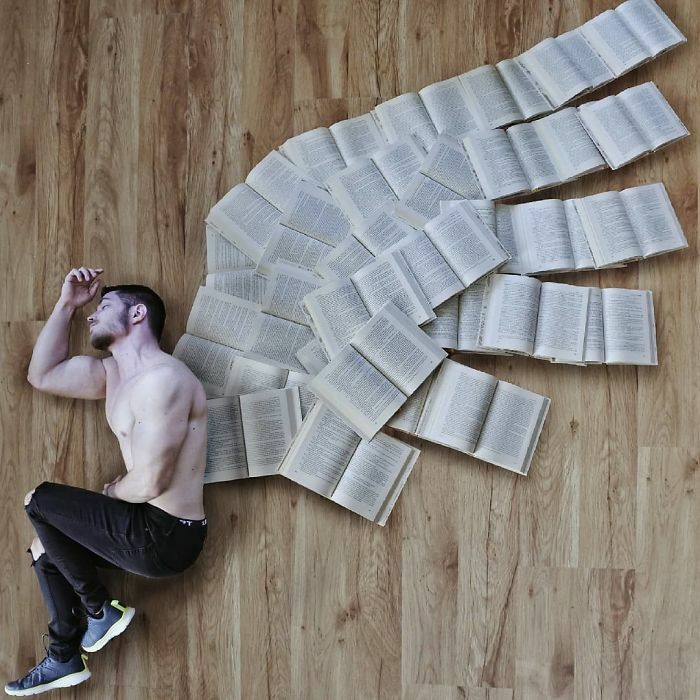 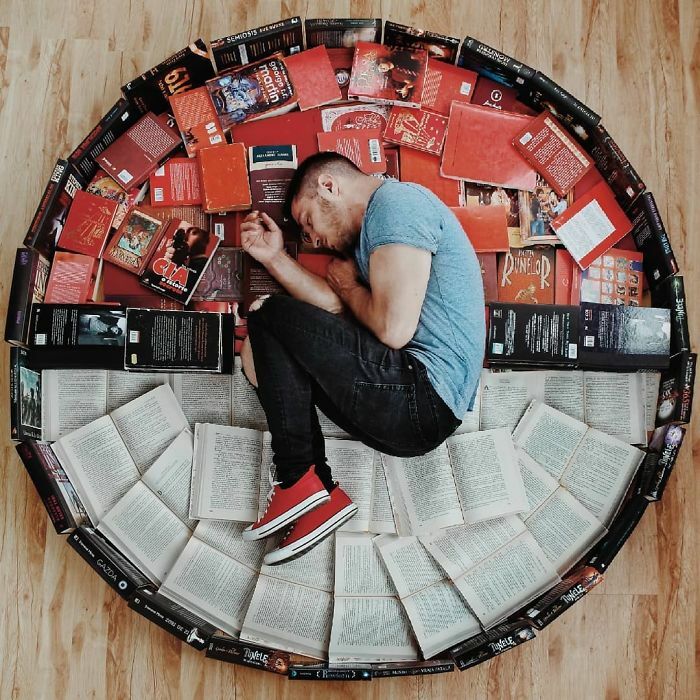 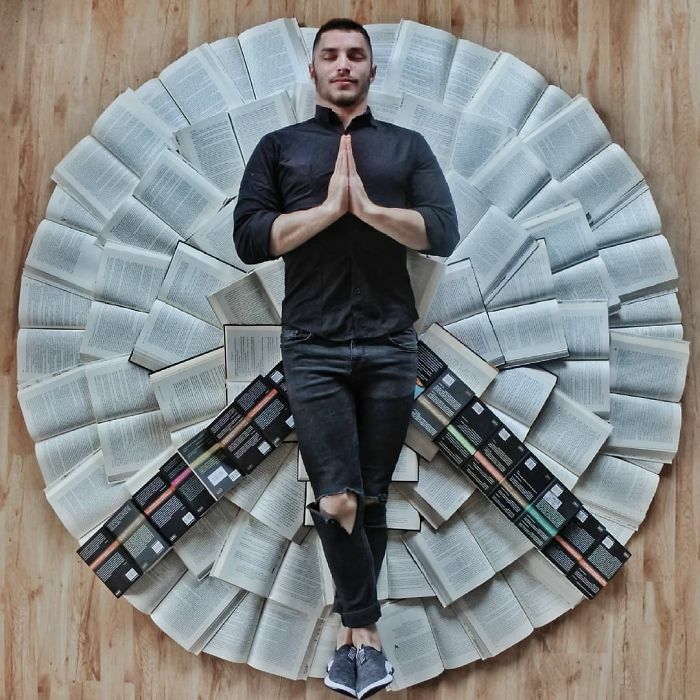 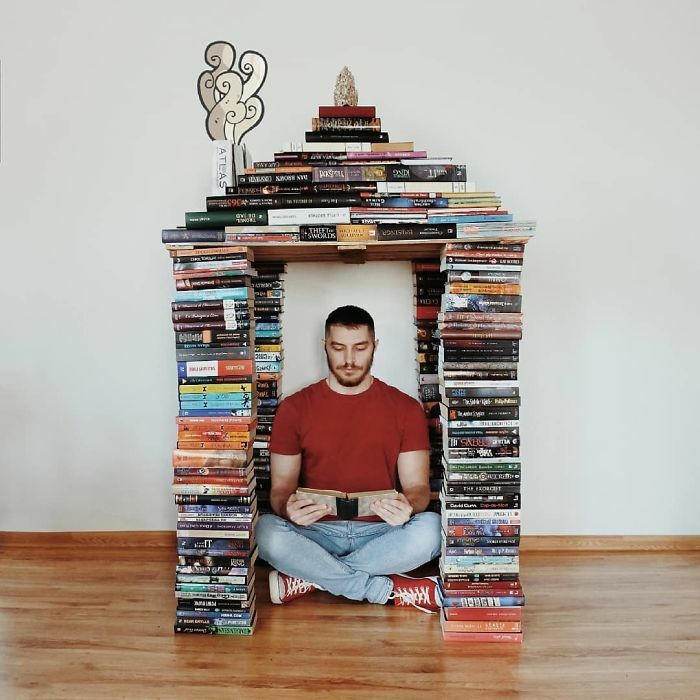 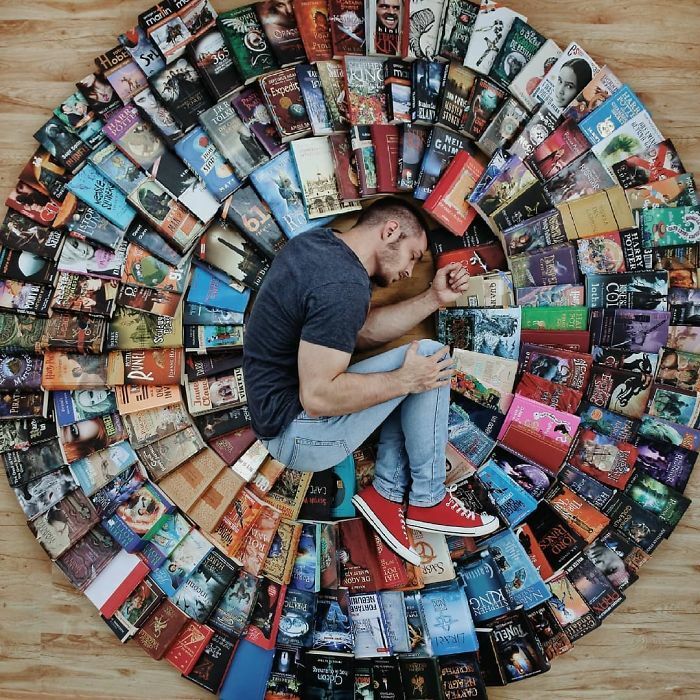 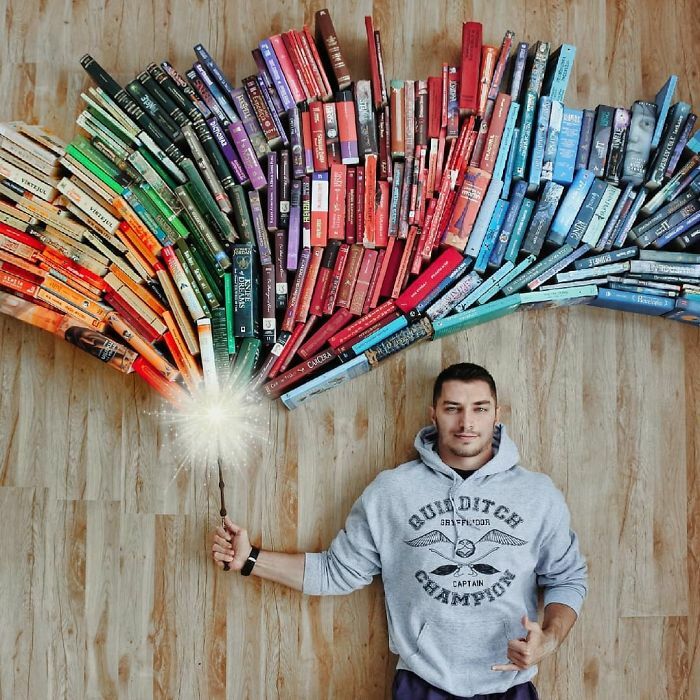 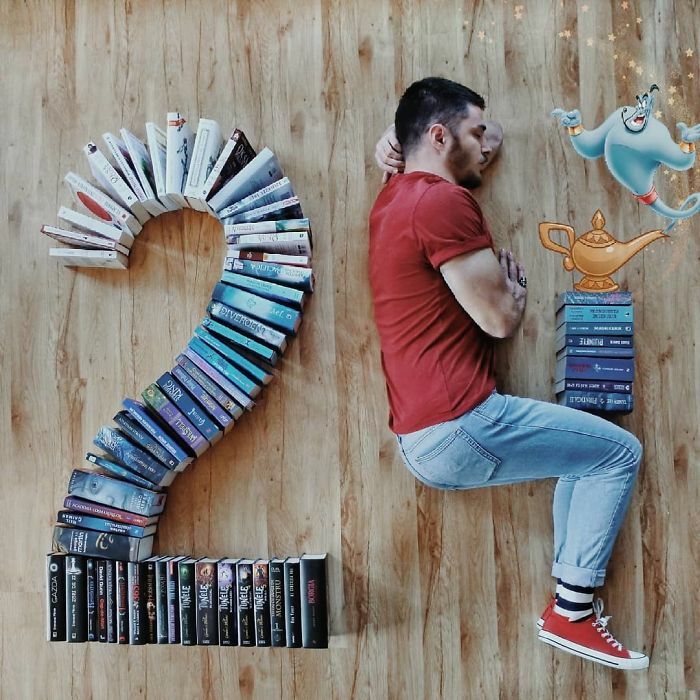 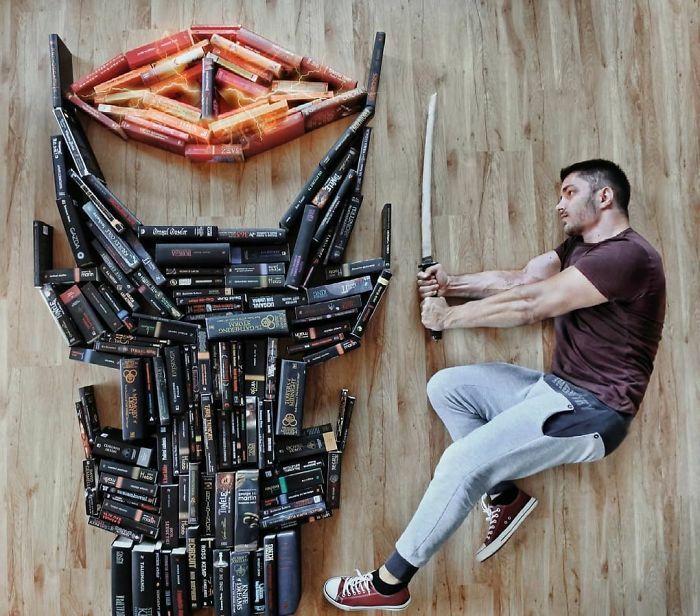 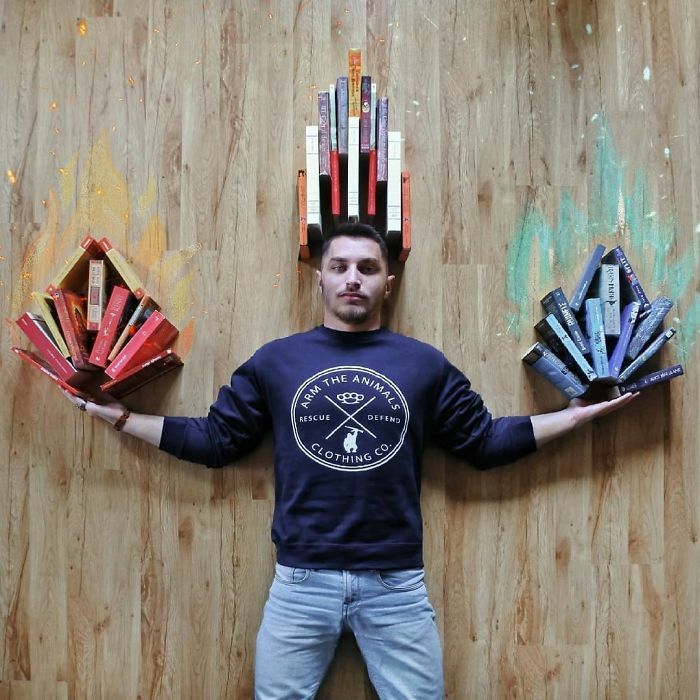 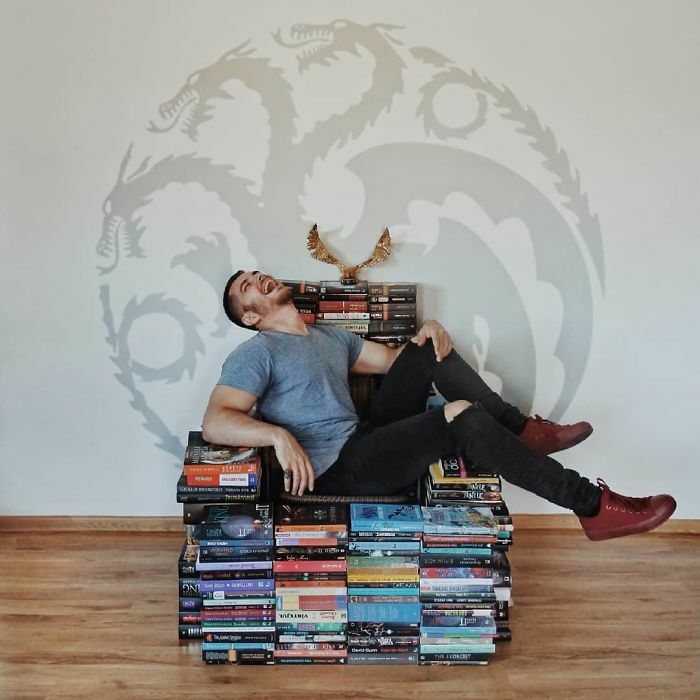 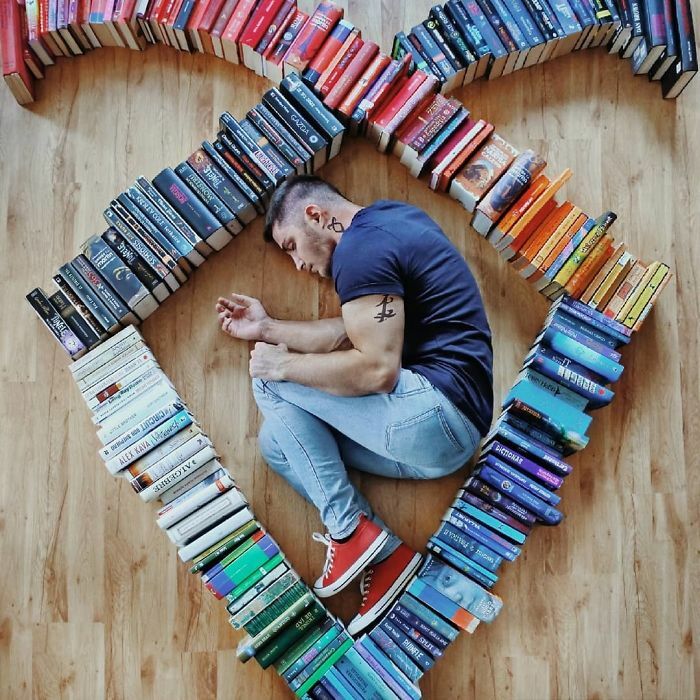 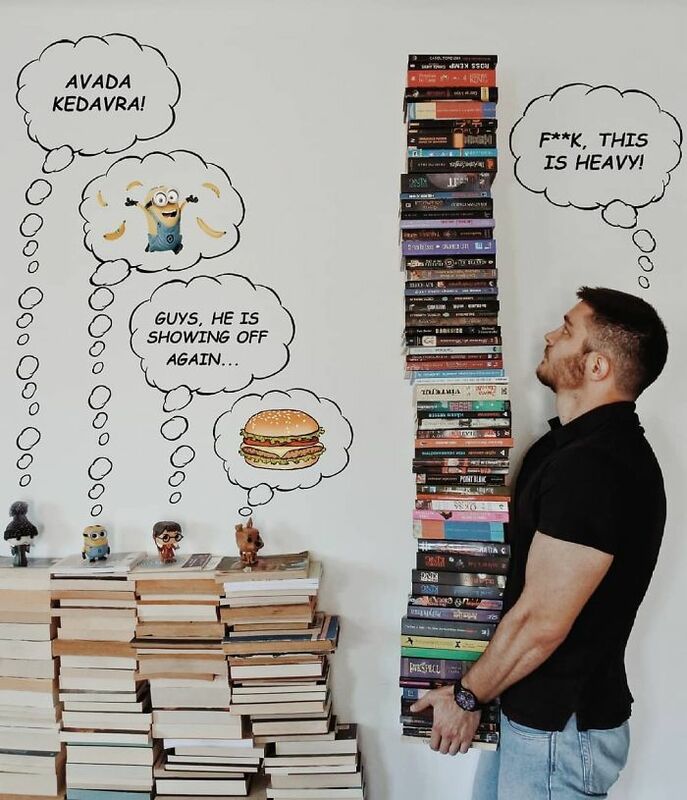 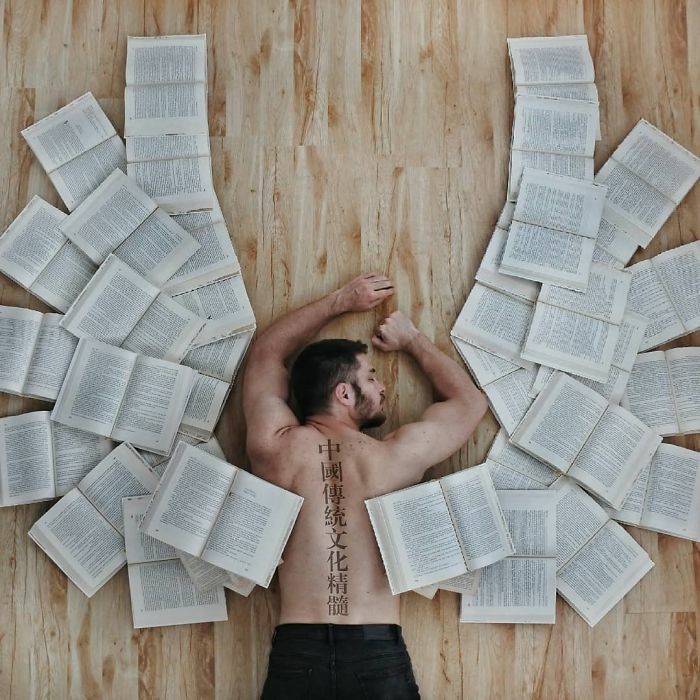 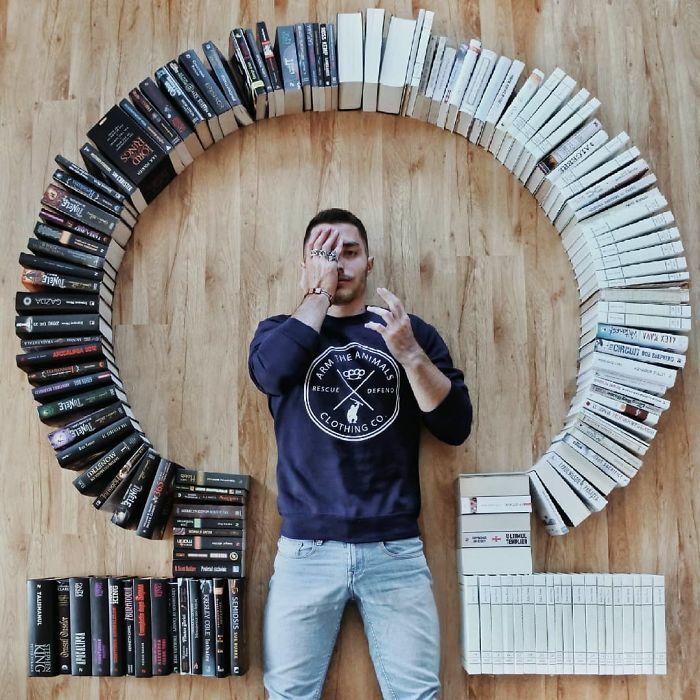 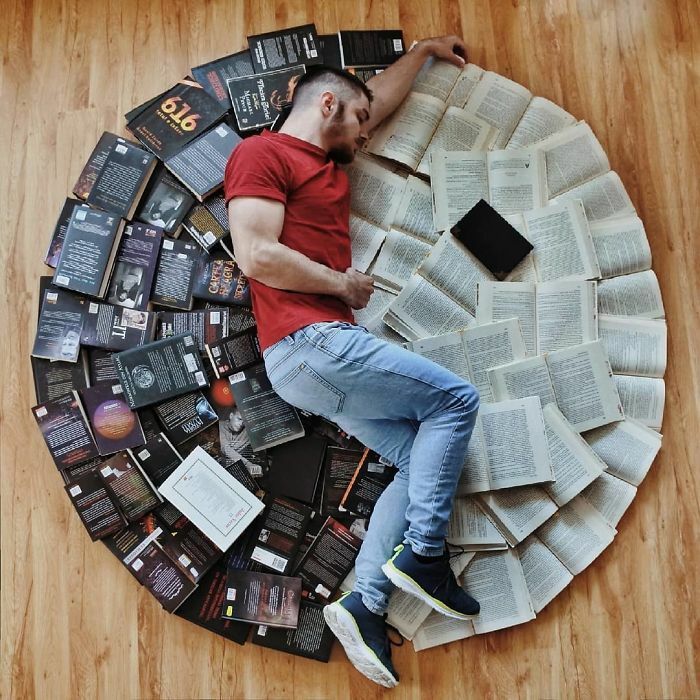 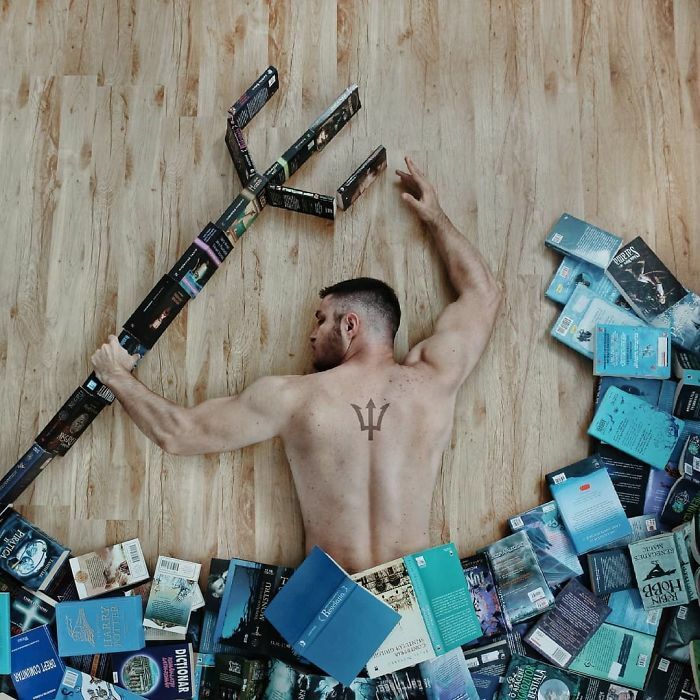 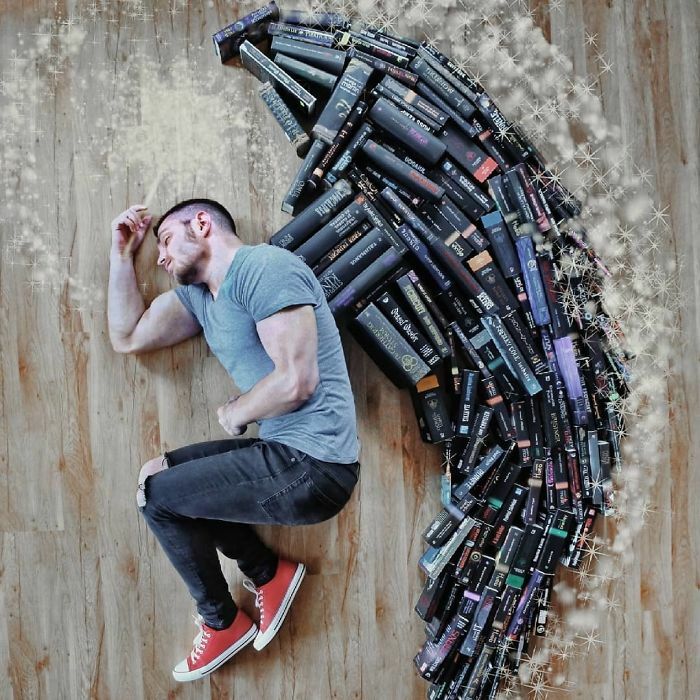 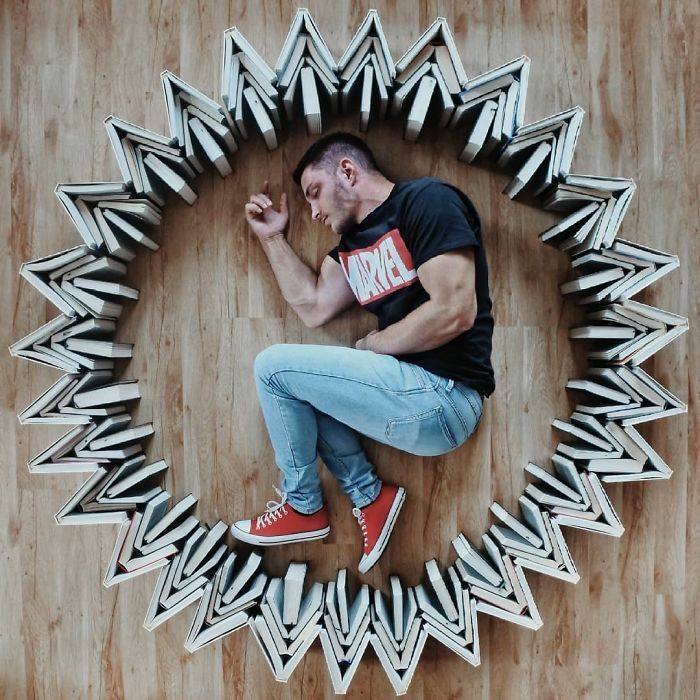 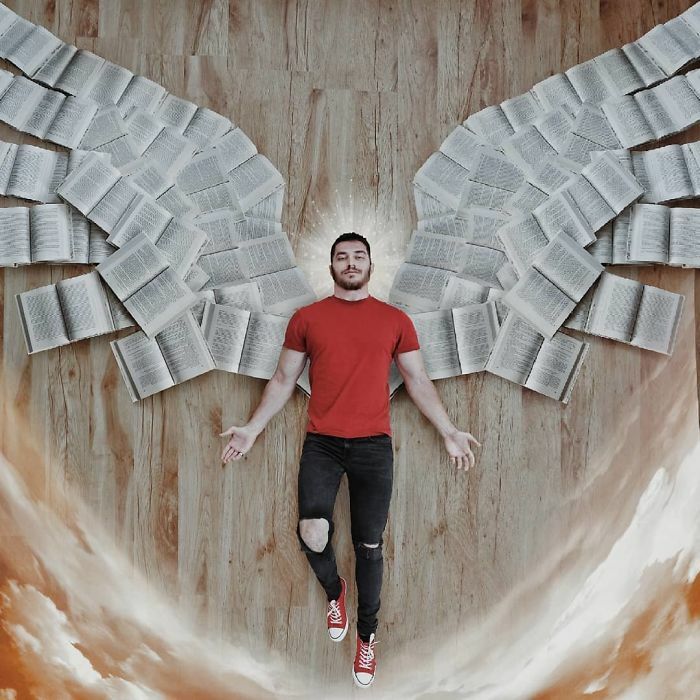 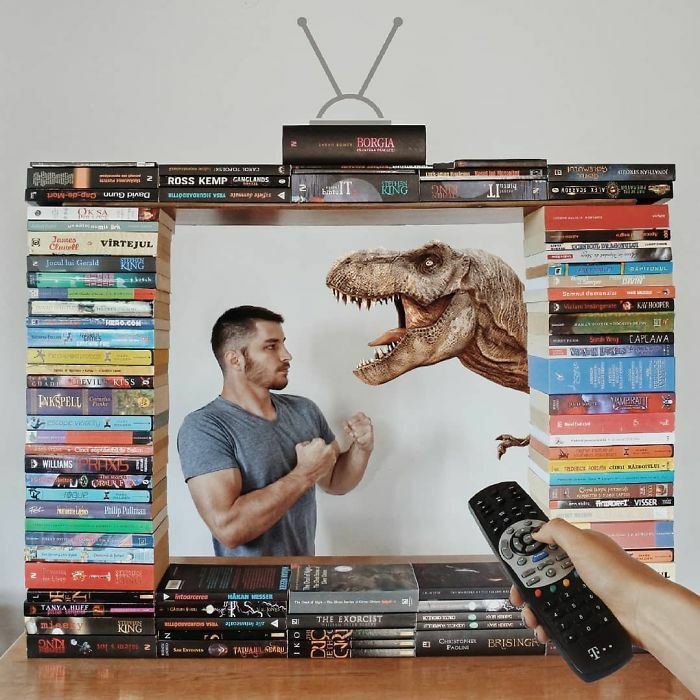 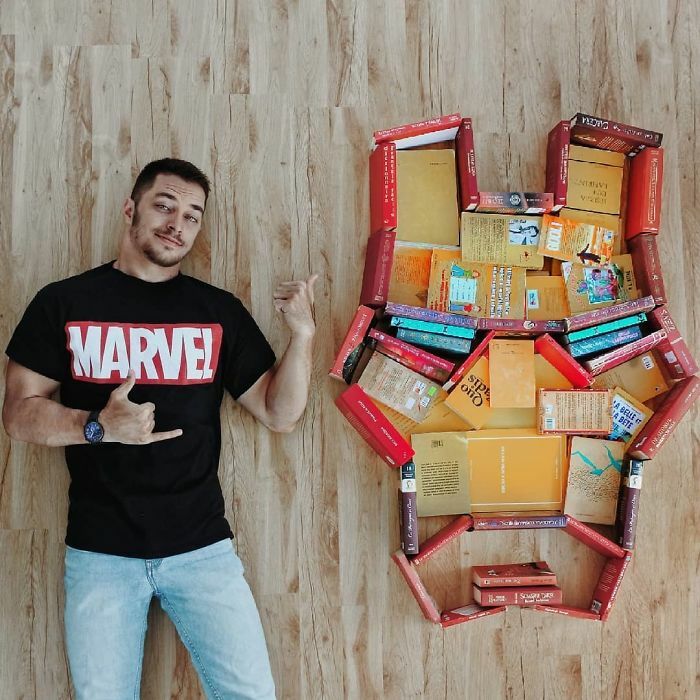 A self-proclaimed ‘bookstagrammer’, Trevino has managed to pull in 120k Instagram followers for his ornate creations (in addition to being pretty easy on the eyes himself). 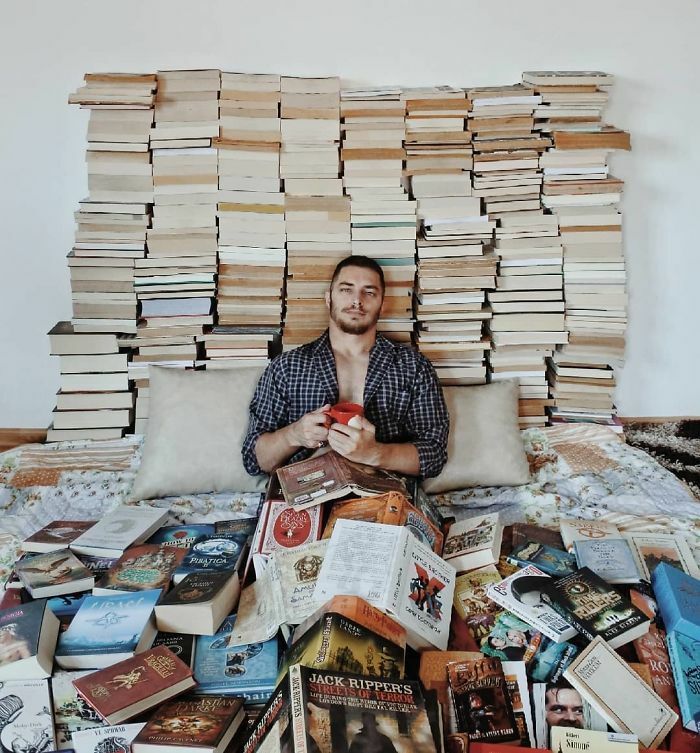 He said the idea to start creating the pieces “just sort of happened.” “At first I was posting pictures of my then current reads. 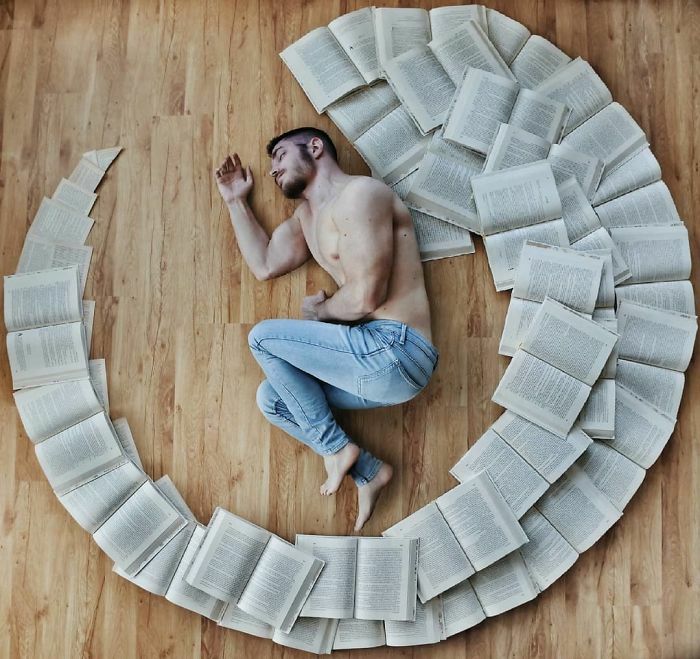 With time, the photos got more and more complex, influenced mostly by pop culture and sometimes by certain pictures I saw on Instagram.” Each scene goes through a process to create, he explained, “First, there is the brainstorming I do with my good friend Elizabeth. 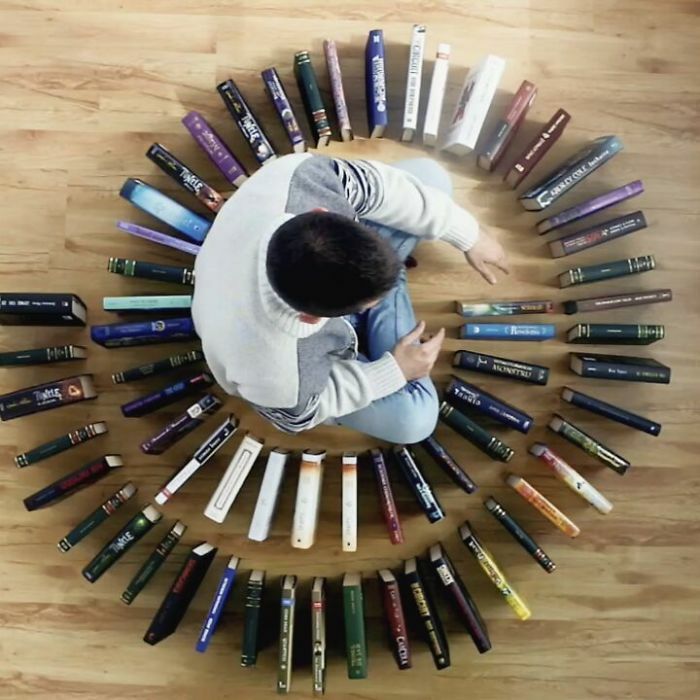 Then, once we have a general idea, me and Liz try to bring it as close as possible to our vision. 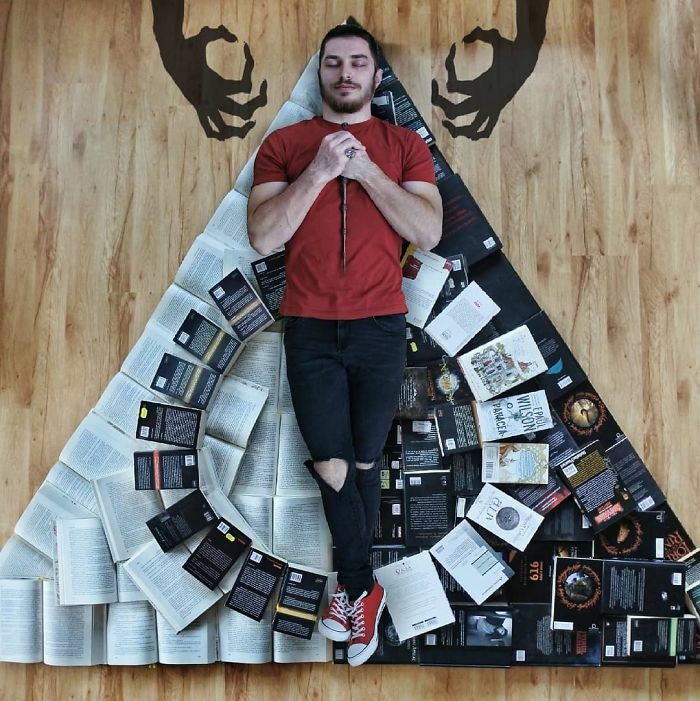 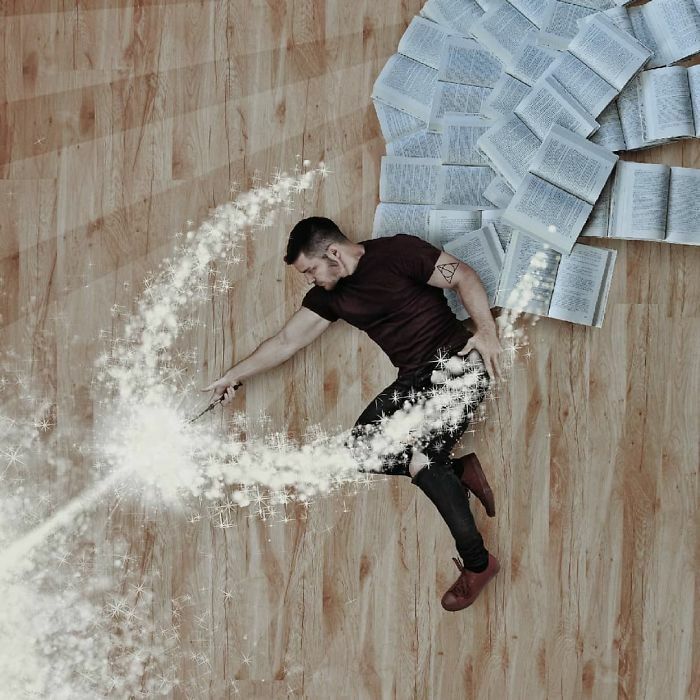 If the concept proves to be too large to capture in a single frame, we combine two or more photos in post editing.” While the literary themes on his page are diverse, they lean in favor of his two favorite books, ‘Harry Potter and the Half-Blood Prince’ by J.K. Rowling and ‘The Silmarillion’ by JRR Tolkien. 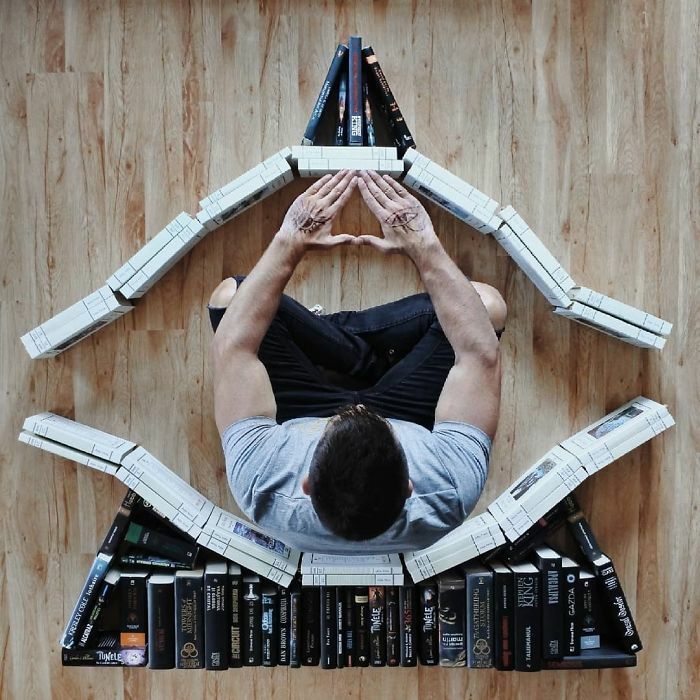 Trevino is now up to about 1,100 books in his collection and has no plans on slowing down. 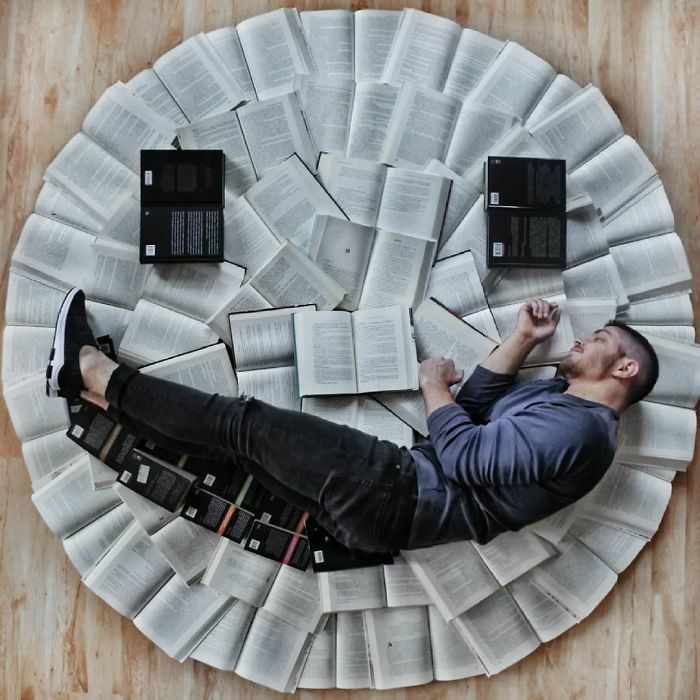 He told Bored Panda, for now, his creations are just a hobby and that he is going with the flow, “The fact that the reactions have been so positive is a bit overwhelming, but also heartwarming.” Scroll down below to check out some of this bookstagrammer’s work, as well as his various social media pages where he says he loves “having long philosophical talks on various themes” with his followers.